Listed below are the current discounts negotiated on your behalf by The British Veterans Recognition Card. If you wish to find out more details about the offers or take advantage of the discounts, click on the appropriate "LOGIN" symbol and you will be asked for your Logon ID and Membership Number. This simple security check will take you to the Member’s Page, where you will find full details of all the latest offers, the relevant contact details and our unique booking codes. In order to gain access to the Member’s Page and the latest deals you will need to subscribe to the British Veterans Recognition Card (for as little as £17.50 per year). In order to complete this process, please go to the Application Page. PLEASE NOTE: British Veterans Recognition Card charges NO COMMISSION on any of the offers we promote, passing the entire discount on to our members. Africa Explored are a tour operator offering services in assisting the planning and booking of an African Safari holiday. They offer British Veterans Card Holders a 5% discount on land arrangements for themselves and others travelling in their party, land arrangements are broadly speaking all of those aspects of the safari less any international flights. Austin Reed, the highly regarded formal and ready to wear tailor for men and women is offering a 20% discount in all stores and online. The discount is gained by showing your British Veterans Recognition Card. Autowfix is a well established company, trading since 1995. We supply and install nationwide: caravan movers, tow bars, hands free kits, 4x4 canopies, parking sensors, telecommunications, window tinting, satellite navigation, vehicle alarms and DVD systems. Avis car and van rental is one of the world’s largest vehicle rental companies with outlets in most major UK towns and cities. They are offering a brilliant 10% off Avis’ best available local rates in UK plus an amazing 15% off rates in Europe, the Middle East and Africa and 5% off retail rates in the US Australia and New Zealand. 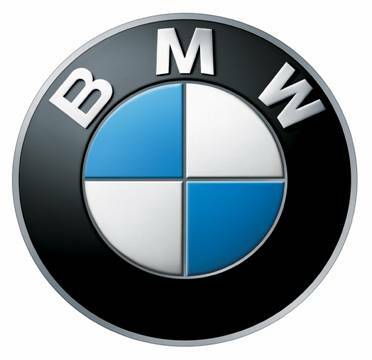 BMW Park Lane is offering significant savings on new BMWs across most of the range. With a dedicated, highly experienced team, BMW Park Lane can ensure that the whole process of choosing, purchasing and taking delivery of your BMW will be an enjoyable and highly cost effective experience. Brightminds is the award-winning home shopping company established in 2000 and committed to the importance of fun learning at home. They have over 1,000 games, puzzles, flash cards, books, CD-ROMs and charts to help children to develop essential literacy and numeracy skills together with creative curiosity for lifelong learning. Brightminds service the whole of the UK and overseas customers from their own warehouse based just south of Bath . They currently offer 10% off their products. BUPA – the leading private healthcare organisation offers prompt and private treatment in over 450 private hospitals nationwide. Discounts of up to an impressive 44% off their insurance premiums. Butlins are offering British Veterans and their families fantastic savings on holidays and access to their special offers throughout 2015. Christopher Ward Watches has long been one of the UK 's best kept secrets, and now, like MI6, its just gone public - ripe for discovery by British Veterans, who know the very best craftsmanship when they see it, but don't want to pay the earth. Christopher Ward is offering an excellent deal for members, giving a 10% saving on his sumptuous selection of timepieces which not only score highly for their looks; but are of such fine breeding, with Swiss engineering pedigree, that even members of the Canadian Air Force have their own branded version of the C4 Peregrine Chronograph. Coral Beach Hotel is near Paphos, close to where Aphrodite is said to have risen to earth from the sea, on the fabulous holiday island of Cyprus. A unique deal for card holders means up to a fantastic 50% discount on public rates throughout 2009 in 424 elegantly appointed rooms just 500 metres from a naturally sandy beach. Cotswold Outdoor, one of the country’s leading outdoor pursuit specialists, is offering an impressive 10% discount off products bought either in their high street stores in the UK, by mail order, or through their website. The Dartmoor Safari Travel Services, offer two services: Dartmoor Safaris, an opportunity to join the experts for a day of adventure on Dartmoor and Airport Transfers, a private hire service covering all ports and airports in the UK. Significant discounts are available on both services. Dollond & Aitchison, the high street eye care specialists, are offering 10% off a complete pair of glasses (frames, lenses and professional services) or a free eye test in 380 branches throughout the UK. ESS are offering a fantastic 10% discount on their product lines offering unique solutions for eyewear safety, performance, and comfort. Etihad Airways is the national airline of the United Arab Emirates and the world's fastest growing carrier. Etihad is offering British Veterans members the cheapest flights from the UK to Kathmandu anywhere in the market. Eurocamp is the big name in self-drive holidays to campsites in some of the most desirable locations throughout Europe including France, Italy, Spain, Switzerland, Germany, the Netherlands, Luxembourg and Croatia. 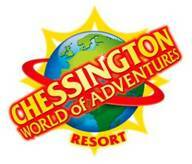 An excellent 10% saving on early or late summer breaks. 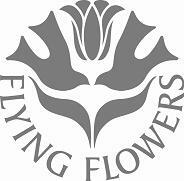 UK's favourite postal flower company Flying Flowers is offering 10% discount on all “Flowers by Post”, “Hand-Tied Bouquets” and “Plants and Gifts” to British Veteran Recognition Card members. The G2S Group - the leading home improvements company offers the highest quality Conservatories Windows & Doors for Wiltshire, Berkshire, Hampshire and Somerset. Discounts of up to an impressive 10% off our stadard offers on showing your British Veterans Recognition Card. High and Wild is one of the top adventure travel providers worldwide and are offering British Veterans a preferential discount of 8% on any adventure they choose or any special adventure that High & Wild plan for them. HSS Hire Service Group is the World's largest tool and equipment Hire/Rental chain. HSS Hire Shops are offering a 10% discount to members upon presentation of British Veterans Recognition Card at any of their outlets. Indus Tours & Travel is an award winning tour operator with a team of expert travel consultants. Indus is offering a 10% discount on all tours to British Veterans. The tours are exclusively designed and selected and include a multitude of commemorative sights, relaxation and cultural highlights. INDY Enabled Living is a 21st Century shopping haven for people with disabilities and mobility impairment. Indy allows people to see, try and compare a variety of different equipment as well as get expert advice from full time Occupational Therapist and Trusted Assessors. 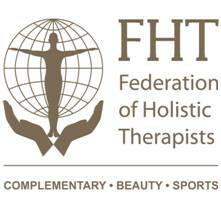 Members will receive a 10% discount off all products. Retirement Coach Jan King helps people who are facing retirement or who have already retired to plan their life after work. So if you retired from the services without a plan and everything in the garden isn't as rosy as you thought it would be, retirement coaching is a wonderful way of putting structure and purpose into your life. Members of British Veterans will receive a 33% discount on her hourly rate. Listen2Online.co.uk, the awarding winning audio book retailer and home of classic entertainment is offering 10% discount on All Products to British Veteran Recognition Card members. 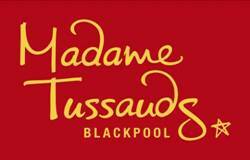 Madame Tussauds London – 2016 offers will be here soon! MINI Park Lane is able to offer a substantial financial benefit by purchasing a MINI under our new British Veterans partnership. With a dedicated, highly experienced team, MINI Park Lane can ensure that the whole process of choosing, purchasing and taking delivery of your MINI will be an enjoyable and highly cost effective experience. The National Maritime Museum Cornwall celebrates the world of small boats, Cornish maritime history and Man's exploits under the sea. British Veterans will get a 10% discount on all classes of admittance on production of their British Veterans Recognition Card. Neilson Active Holidays are experts in providing activity holidays in Europe, the Mediterranean, North America and the Caribbean. Anything from skiing and snowboarding to sailing, mountain biking and scuba diving – a tremendous 10% discount off their brochure price. As America's oldest mail order company, Orvis have been offering the finest in men's and women's outdoor clothing, fly-fishing tackle and equipment and luggage since 1856. Members will receive a 10% discount when spending over £100. P & O Ferries offers a consistent 5% discount off any fares across the route network including sailings from Dover, Portsmouth and Hull. PSD TRAINING TEAM - High Risk Close Protection Military Resettlement Courses. Close Protection is sometimes not enough to get the job done. This course provides one of the most intensive and comprehensive PSD/Force Protection training programs available outside government/military close protection duties anywhere in the world. PSD are offering members of British Veterans Recognition Card a 15% discount. The RAC, one of the country’s long-standing motoring organisations is offering a cracking 50% discount on breakdown cover and 25% discount on all renewals of UK breakdown cover too. These packages are personal based membership which means that the member is covered in any vehicle in which they are driving, even as a passenger. Exclusive 15% discount off holidays at the luxury waterfront villa resort of Sands Beach Villas, Lanzarote. ShortBreaks Ltd is the UK 's largest growing tour operator offering Eurostar packages to Paris, Brussels, Bruges, Antwerp, Gent and Lille. Included in the price is return Eurostar travel and two nights hotel bed and breakfast accommodation. ShortBreaks Ltd are pleased to offer all British Veteran members and their travelling companions a £10 per person discount on all Eurostar packages. The Cooking Experience is an opportunity to recapture or ignite your passion for cooking. They are offering an excellent discount of 10% off all the Cooking Experience courses for Card Holders. The Hearing Company - As part of the UK 's largest high street hearing care retailer they are offering members of the British Veterans Recognition Card a superb 10% discount off hearing aids and free aftercare for life. Thomas Cook Holidays: Guaranteed Savings.Anytime, Anywhere! British Veterans are members of the Thomas Cook Staff Holiday Club offering a guaranteed 6% discount on 1000's of holidays, in addition to any tour operator savings available through us when you book. Thomas Cook Foreign Exchange offers members commission free holiday money and reduced commission on Sterling Travellers Cheques. This offer extends to both the sale and buy-back of foreign currency. Tilley Endurables from Canada, makers of a range of clothing and accessories ideal for the outdoors and travel are offering a 15% discount off products in their UK range purchased by mail order or through the website. Touchdown Collection is a division of award winning tour operator Touchdown World Travel Specialists. For more than 15 years Touchdown has promoted the services of airlines and premier hotels, at specially reduced prices, to employees of the travel industry. We have now been carefully selected by our suppliers to offer similar, and many other exclusively priced travel arrangements to British Veterans. Greens Watch Services Ltd is the UK's sole importer, stockist and service centre for the complete range of Swiss made traser H3 watches. Traser H3 watches are extremely robust and reliable, chosen by the world's elite military for their build quality and illumination performance, they have proven themselves on active duty throughout the world. Green Watch Services is pleased to offer a significant discount off the RRP of any traser H3 watch model. UKFightWear is one of the UK's leading MMA and Boxing online retailers, offering the best fightwear & gear at great prices. We are proud to offer British Veterans 10% discount on all products. Vauxhall Motors is proud to support British Veterans through their Military Sales Programme with special discounts of up to 15% on their range of award-winning cars. 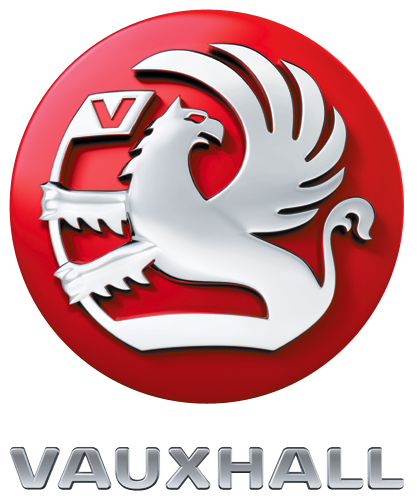 All discounts are available in addition to selected current Vauxhall customer offers - such as free insurance. And your GM Card rebate points can also be redeemed against your purchase, saving you even more money. Vauxhall Military sales are backed by a network of specialist retailers and a dedicated Customer Care Centre. The Victory Services Club is a Tri-Service, All Ranks Members' Club for currently Serving and Retired members of the Armed Forces, ideally located at Marble Arch in the heart of London's West End. They are offering members one year's free membership. Virgin Atlantic Airways has agreed to offer reduced fares for British Veterans and their families. Flying many routes around the world, Virgin is offering fixed price one-way fares and up to 35% off some flights. Virgin Wines offer a bespoke wine-merchandising service and have come up with a unique and fantastic offer just for British Veterans Recognition Card holders. A £20 voucher to use against the first order and first look at any special offers. Thousands of people have taken Battlefield and Memorial Pilgrimage and Heritage Tours with the War Research Society . The tours cover a wide range of sites from the Napoleonic War to World War two. They are offering British Veterans a 10% discount on all tours. White Motor Boats Ltd is offering British Veterans a 10% discount on their ferry service to Portland , Lulworth and The Jurassic Coast. The Worcester Medal Service Limited has over thirty years experience in the study and mounting of medals and undertake work for numerous units of the Armed Forces and Emergency Services. Worcester Medal Service Limited are offering British Veterans 20% off medal Mounting and 10% off all stock items. More offers to follow . . .
We continuously strive to recruit new partners and achieve the very best discounts for our members. This website reflects the latest offers currently available.